There's three titles out on the Nintendo Download in Europe this week, but it's certainly a case of quality titles available. Here's what's coming up on Thursday. Super Mario Land 2: 6 Golden Coins (Game Boy, Nintendo, £3.60/€4) — This classic portable outing is fondly remembered as one of Mario's best, and now you can take it with you in your 3DS. There'll be a review soon. The Legend of Zelda: Four Swords Anniversary Edition (Nintendo, FREE) — The Game Boy Advance version of Link's adventure comes to DSiWare and the 3DS eShop complete with new stages, a single-player mode and local wireless multiplayer too. Oh, and it's free. What more could you ask for? 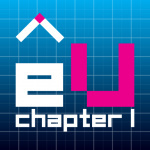 escapeVektor: Chapter 1 (Nnooo, 500pts) — Hopefully you've been reading our exclusive escapeVektor: Chapter 1 features to get a feel for Nnooo's latest WiiWare offering. We'll have a full review in the near future, of course. Other than Four Swords Adventure — which is free, of course — what are you downloading this week? Oh that's a nice surprise. And Zelda too, yay. Nnooo shows me some love with such a bargain, so I'm going to give some back by buying escapeVektor right away. I dig the style and I most definitely dig the price. I wish you good sales, guys! Oh, fantastic. I'll be downloading Zelda twice (if I can). Once on my DSi XL and also on the 3DS. I'll also be purchasing Super Mario Land 2! Nice little selection this week. Hope North America's is equally impressive. Yeah for the free Zelda. Already have the original cartridge of Super Mario Land 2 so I won't be picking that one up (great game though). Need a review for escapeVektor. great week for the eShop! And I will say meh. First - there is no online multiplayer in Zelda, and I have noone around my place to play that with, so basically this will loose about 75% of it's appeal. Secondly, and I know most of you will want to burn me at stake for that - I'd like Metroid II more than 6 Golden Coins, for the collector's sake. But I guess I will have to wait for this one. Rant aside - pretty solid stuff coming up this week. @grumblegrumble - I know it allows me to play solo, they brag about it all over the Internet (well, almost), but the key feature in Four Swords was always the multiplayer. The singleplayer mode is, as far as I know, only a small add-on. So I really do not consider myself "in luck" on this one. Yay for free Four Swords! And I wasn't expecting Super Mario Land 2 this week but that's awesome too! Best Nintendo Download I've seen for a while. Nice to see Mario Land 2, but I think I'll wait for Metroid before adding any more money to my account. Yay! I'm getting Zelda, of course (duh), and definitely Mario, too. It's about time, hopefully it comes the the US. One of the best GB games of all time. Thursday here I come! What are the chances of Super Mario Land 2 scoring anything other than 9/10 in it's review here? Hmm... I thought Pyramids was getting a September release? They better give this awesome update to America this week. If they don't that'd just be cruel. nice one will get 4 swords asap.and get sml2 next time i top up.whats sml2 like compared to the other one weve already had on eshop? That was... unexpected. Hopefully NA will also get SML2 this week. Don't even bother waiting for a review on Mario Land 2. The game is awesome! No questions asked. Download it as soon as you can! Nothing for me this week. EscapeVektor doesn't look too bad, but not too good either. ah damn...why did i download two new games yesterday? . Woooo! Free Zelda game, I'd be really suprised if Zelda doesn't get 10/10 for being free though! Can't disagree with free! Now I just need to teach one of my cats to play Zelda then I can have some four player fun. Easiest mario game ever!! !, but still great!! I thought for sure the Zelda game would be the lone title. Not a bad update at all and you get a neato Wii Ware game that looks like an Art Style title. Whats the reason Nintendo are giving away The Legend of Zelda: Four Swords Anniversary Edition for FREE then? Woooot!!! I really hope Brazil/USA get Super Mario Land 2 too!! good work nintendo of europe! Great news! 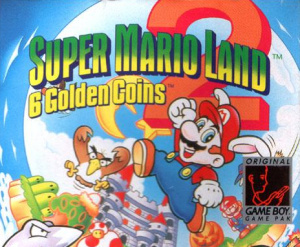 People always say that Super Mario Land II is the best Mario Land for Game Boy, with fatter nicer sprites and tighter controls than the first, but I never got to play it on original hardware. If the PAL/NTSC releases are anything on parity with each other as they have been lately, I will be picking this up Thursday. Super Mario Land 3 is better than Super Mario Land 2. Even if it does star Wario. It's nice to get these two great games now as it's my birthday on Thursday. I was thinking about buying presents from eShop for myself and that Mario Land 2 just cleared some things about what games I'd get. Great week so far for you guys, but I'd "lol" if we end up get a better update. Awesome update. Two instas and a "radar, review reqiured" game. Nice only two more days and we get some free four swords action. I already played SML2, but the Zelda is a nice one! Nice, Mario Land 2 was one of my first games, I loved it. I can't wait fir 4 swords! Bwah! I've never played Super Mario Land 2 before, so it had better come to the US. Lest there be consequences. Zelda FS and SML2 FTW! Great week. Hopefully NA will get SML2 this week too. I was just about to download a game or two on my 3DS now that SML2 might come out I will wait till Thursday to downloand any games. From NintendoWorldReport website, Japan is getting Metroid II instead. Is NA getting both SML2 and Metroid II this week ? Super Mario Land 2? Oh great. If this comes to America, then I pretty much am obligated to buy an eShop card. Curse you Nintendo! will the legend of zelda four swords anniversary edition come out in America for free this week too? if so, awsome! Yes The Legend of Zelda Four Swords Anniversary Edition comes out for free on Wednesday in NA. That would be even better if NA got SML2 and Metroid II this week doubt we will get 2 VC games in one week though wasn't the last time NA got 2 VC games was when we got Radar Mission and Fortified Zone? Obviously getting the free Zelda game, and Mario hass a 95% chance of me picking it up! If people are wondering how Super Mario Land 2 is, I can give my opinion, having played the Game Boy version to death. It is fun and has a nice variety of areas, and is a lot more Mario-like than SML1. However, I feel that until the final level, it's too easy, and that makes it feel quite short as you blast through it. It's certainly longer and more varied than SML1, and, say, the first Mega Man Game Boy game (don't get me wrong, I love that game, and every other one in the GB series, except for the second one), though of course the difficulty is completely the opposite of that. I'll definitely get SML 2 at some point and probably Zelda: four swords too. I might get SML 2, think I played that game back then. Can't wait to play Four Swords for the first time. I have a friend that's jealous because she bought it years ago for the GBA, just to find out it was multiplayer only. She was so disappointed- said Link to the Past was just a tease so she sold it. 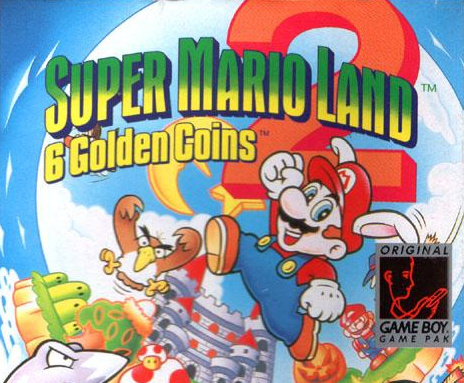 Mario Land 2 would be nice to have as a download. Another friend gave me the cartridge and I love it. It'll have to wait though- I just spent the rest of my gift card on WarioWare Touched. Impressive. Most impressive! This has to be the best 3DS Shop update EVER! NoA, PLEASE let this be our update! Or Four Swords + Metroid II! An update like this would end DECADES of waiting. Never got SML 2, and being a bit of a loner, I never had the chance to play Four Swords on the Link to the Past GBA game. The only reason I'm not insta-downloading SML2 this week (like I kept saying I would between E3 last year and the eShop's launch this year) is because I am currently without a 3DS. I would most likely download both it and Four Swords the moment I boot-up a shiny new 3DS and go into the eShop. Really hoping that the U.S see's SML2 and Zelda as well, on Thursday. @ChibiLink I would like to know that too. We get Kirby TV on the correct days but not the nintendo download, so your guess is as good as mine. Finally a good VC game and the Four Swords we were proimised. Someone mentioned that you could play over wifi but i'd be surprised since Nintendos giving it away for free. Yeah Four Swords! Only promblem is where is Metroid II? I can see it now. Europe gets mario land 2, Japan gets Metroid 2. In America we'll probably get Catrap or something really lame. The price is right! Zelda for me. ... and North America gets lameballs. No, but seriously, give us Mario or Metroid, NOA. We deserve a top-tier VC game if the rest of the world also gets one. And no, Mega Man didn't count (imo). FINALLY A GREAT WEEK! And I wasn't going to get Four Swords because I don't have any money for it but It's FREE!!! Also, I've been waiting for 6 Golden Coins so I'll get that. But, hope NA gets the same thing. The way things are going for North America vs. Japan and Europe, open-ended statements like that scare me, because in my mind I end it with "bupkis". VC Nazi pops in and says "NOTHING, NO VEE CEE FOR YOU"! Like last week. Because North America is on the low end of the totem pole right now. And I'm not whining, I'm complaining. We don't SML 2 or Metroid II with Four Swords Thursday, you'll get whining. @Link79: That's what I was thinking too. I'm already lowering my expectations a little bit. sod it ill top up in the morning. and get the mario one on thursday.from what ive seen it looks decent especially next to the 1st one. Will get Mario & Zelda and wait for reviews and reactions on escapeVector. @FlutterShyGuy: And how is NA on the low end of the totem pole? A download for me this week, still no Wii-VC? The growing trend of Japan & Europe getting games we don't (example, the Project Rainfall games) and getting games before NA. @FluttershyGuy: And Europe's not getting London life. Wow, first WiiWare game I'll have purchased since Lilt Line. I'm also annoyed about games not turning up on our shores for download. I had assumed Kappa's Trail got a European release, but I find that's not the case. A shame as I'm getting a DSi for my daughter for Hanukah and that's one of two DSiWare games she plays on my Japanese LL (the other is Spotto! aka Birds and Bombs). What gives NoE? Jamba001 I've looked on the shop, 29 September 2011 and I can't find this... great and I've just spent £10:00 trying to do so, I downloaded Rayman through DS-ware. Hopefully I have enough credit for Mario land 2 when it arrives. Still no chance to see/buy SML2 on the European eShop =(. Overall a good week for Nintendo downloads (trailers are great, Four Swords is a good time killer while I don't even need to explain Mario Land 2). Here's hoping we get more weeks like this one in the future. I would love for Nintendo to release a 3D Land Demo (as well as other demo's) sometime in October, and we all know Wario Land is coming sometime soon. Hate to be the voice of doom, but I've never really liked Super Mario Land 2 much...looks nice, plays well....but way too easy with virtually no challenge whatsoever until the final level/battle against Wario. Should take most gamers an hour or two to finish, max. Roll on Wario Land, which at least has more replay value (different endings depending on how much treasure/coins you complete it with), Zelda: Four Swords is a great freebie though, and escapeVektor looks interesting....but in general, I hate episodic games so I'd rather just wait until it's all available and see what the verdict is on it as a whole.